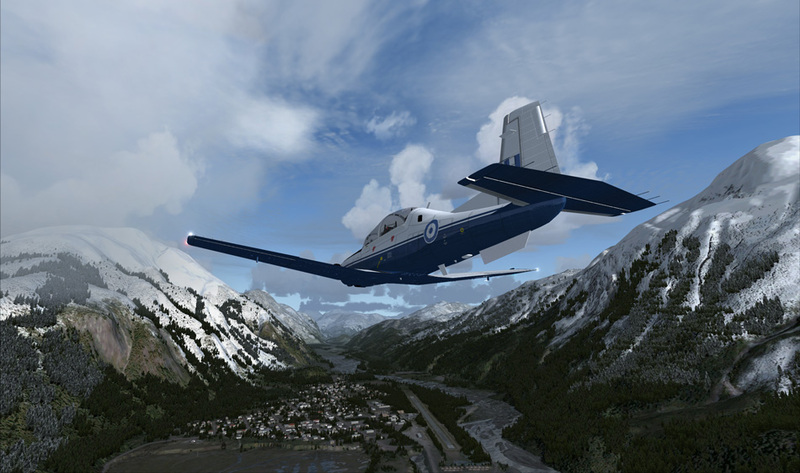 Prepar3D® 1.4 adds the IRIS T-6 Texan. Image shows ORBX CZST Stewart Add-on Scenery. The Lockheed Martin team loves hearing about your experiences with Prepar3D® at our forums. The forums also give us an opportunity to listen to your feedback as we continue Prepar3D development. Based on user input, Prepar3D is launching version 1.4 on Aug. 20. This software release addresses software bugs and performance updates and adds the Mooney Acclaim (from Lionheart Creations) and T-6 Texan (from IRIS Flight Simulation Software) to the aircraft models available out of the box. With this release, Prepar3D is also certified AMD Eyefinity Gold. AMD Eyefinity technology supports up to six simultaneous displays off a single graphics card for a panoramic training experience. To download version 1.4 when it is released on the afternoon of Aug. 20, please log in and then go to the Purchased Downloads page. If you are a current Prepar3D user, there is no charge to upgrade. We hope you find Prepar3D continues to support your learning, mission rehearsal and development objectives. And please keep the feedback coming!